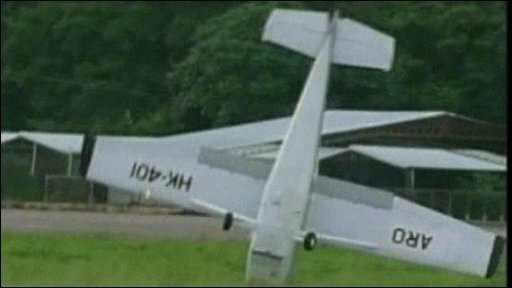 A small plane has flipped over after landing at an airport in Colombia. The Cessna appeared to be making a normal approach when its tail lifted up, turning the plane over. Only one of the three passengers onboard was slightly injured.